Fantastically written. I couldn't quite put my finger on why I didn't enjoy it, but this post definitely sheds light on it's flaws. Overall I agree with your analysis, Mark. I went to see the film because I'm a fan of it's producers, but I didn't enjoy it.
" it's difficult to do a story about a character who can't change and who ends up where he began." I'd replace the word "Difficult" with "unfair". If you take away an hour and 30 minutes of people's lives, you better entertain them or give them insight. I felt like I got neither from this movie. It uses stop motion to push the feeling of disorientation. If I don't enjoy it, I might as well learn something from it, about life, about human nature, but I didn't because the main character, as you said, ended up where he began. I felt like "Inside Out" gave me both entertainment and insight. It's insight is the value of sadness. Depression can have a value too. 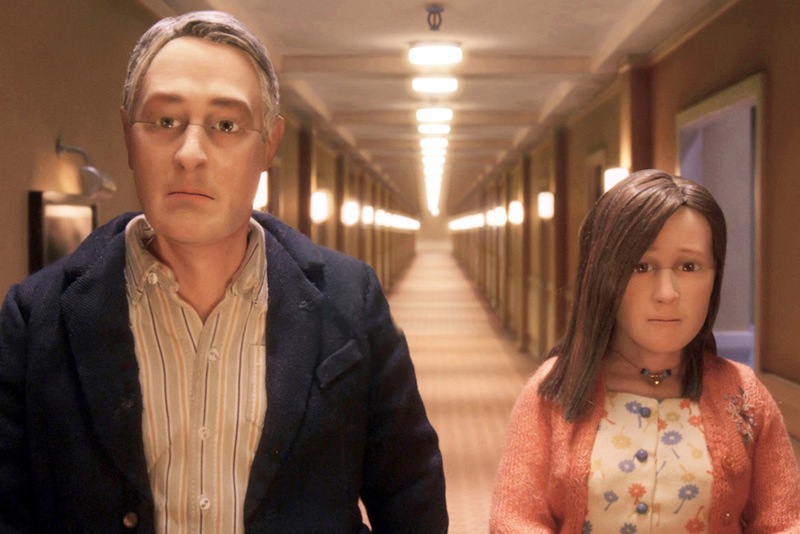 While "Anomalisa" discusses depression, it gives no insight to it's value or what can be learned from it. Seeing this movie with a friend, we both had the same thoughts you did, but we also thought that this movie wasn't really about Michael. Though we spend more time with him, it felt like in the end it was more about Lisa. She's the one who goes through a change. It's a weird structure. We also spotted things in this movie that would have completely changed the story, if it weren't for one scene going against those clues. We're you able to notice them?